Yep…the ‘Request-line’ is now OPEN for the next 48 hours! 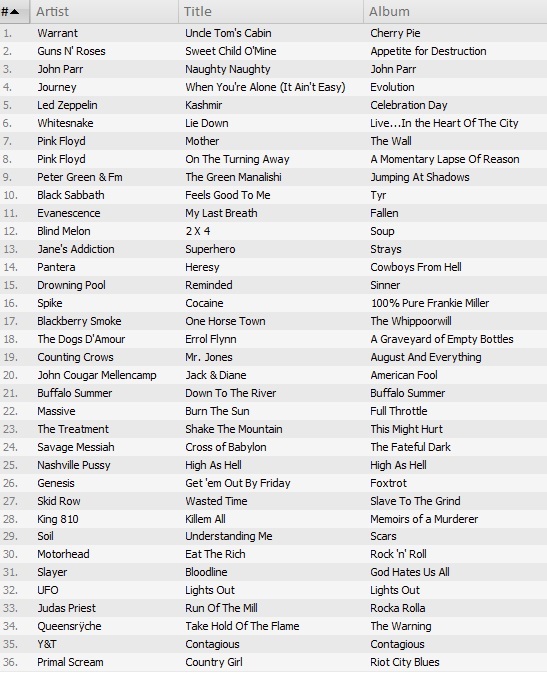 Last week’s show proved beyond any reasonable doubt, that you guys and girls know your rock music. It’s always great to play you the sort of rock that you don’t often get to hear. More of the same this week, please. If we’ve got it, we’ll play it! Our next show is on 18th September, beginning at 1900 BST / 1400 EDT. We have a Facebook Event up and running here. And if you’ve not already joined our Group, point your browser over here and you can keep up with all the chat and comment during the show.